A makeshift memorial in New Mexico dedicated to Hispanic Union soldiers during the Battle of Glorieta Pass "looks like just a taco stand, without any tacos." 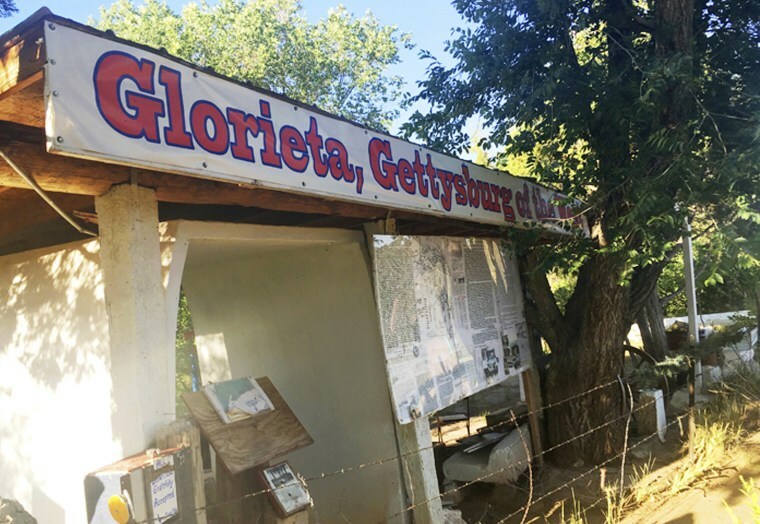 GLORIETA PASS, N.M. — A makeshift memorial to Hispanic Civil War Union soldiers in an isolated part of northern New Mexico is a typical representation of sites linked to U.S. Latino history: It's shabby, largely unknown and at risk of disappearing. Across the U.S., many sites historically connected to key moments in Latino civil rights lie forgotten, decaying or in danger of quietly dissolving into the past without acknowledgment. Scholars and advocates say a lack of preservation, resistance to recognition and even natural disasters make it hard for sites to gain traction among the general public, which affects how Americans see Latinos in U.S. history. Democrats have a Latino problem. Can they fix it in time? "I'm glad it's there. But it looks like just a taco stand, without any tacos," said Arellanes, whose great-great-grandparents served as trail guides for the Union. Arellanes wants state lawmakers to dedicate around $5 million to revamp the site. The Pecos National Historical Park officials give tours of the battlefield but reservations often have to be made years in advance.